Maintaining legitimacy and transparency in all point of business transactions have been the ultimate goal for any company. DNS Accountants, accounting and tax planning consultancy, also believes likewise. Right from providing consultation to the small businesses, start-ups and the entrepreneurs to the contractors and the freelancers, we have helped them in making their business ventures highly successful. Right from the day of we started back in 2005, till now, we have helped many major organizations in planning their tax returns and in maintaining the accounts for their businesses. 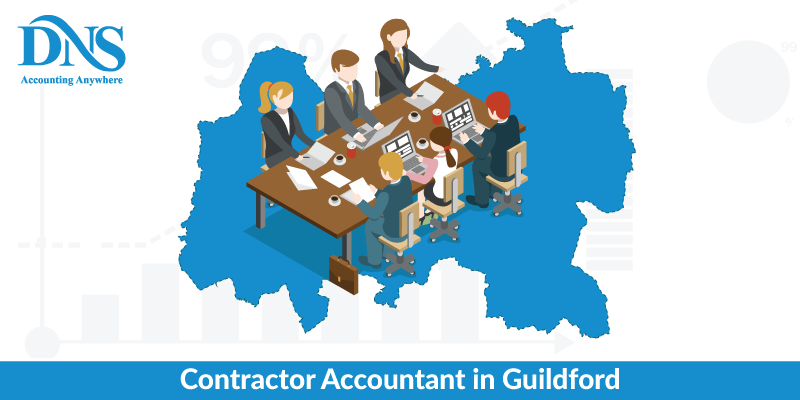 Our company provides services of highly skilled contractor accountants Guildford and nearby places including Watford, Guildford, and Harrow along with other locations in all of the United Kingdom. DNS Accountants has been providing companies with cover for tax investigations, help in self-assessment tax returns, and consultation and accounting solutions for the past many years. We are proud of our staff members and consultants. Each is highly reputed and has years of experience in providing financial help and services to the other companies. 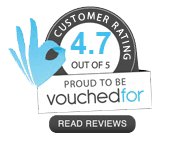 The professionals are handpicked by us, and they all have certifications from some of the well noted accounting bodies like IPSE, ICPA, FCSA and the Chartered Institute of Management Associates (CIMA). A proper financial plan prescribes substantial savings after all the transactions have been completed. Some industrial standards and regulations have to be followed by the companies when it comes to planning and filing the tax returns. DNS Accountants firmly believes in saving the assets of the company without compromising the financial stature. Our timely help and immediate responses in helping you file the tax returns and maintaining the accounts saves you from paying the penalty or some issue that might rise. A large town in Surrey, Guildford is filled with a huge network of waterways that has been instrumental in shaping up the future of the city. Chilworth Gunpowder Works in Guildford, established right during the Industrial Revolution, has been transporting gunpowder to other places through the canal system. The West Surrey Central Dairy Company has been selling dried baby powder formula and milk powder and from 1906 has been called as Cow and Gate. Before this, the company used skimmed milk that they got from cream and sold it as pig feed. The Modern age Guildford is considered to be the safest and attractive shopping destination in the United Kingdom in the 21st century. The town is now surrounded by some of the industrial hubs like Worplesdon, Flexford, West Clandon and Shalford. According to the financial survey that was conducted during the year 2011, Guildford has made it to the Annual List of Top 500 Global Companies that have had their influence in other countries. Some of the leading companies like Philips Electronics, Ericsson, Colgate-Palmolive, Allianz, and Sanofi have their administrative buildings set up over here. The town also has some of the entertainment and video games giants like Hello Games, Ghost Games UK, Bullfrog Productions and Lionhead Studios in Guildford. Apart from this, several companies that provide the chassis for buses and rail compartments are seen here. Every company requires the help from other companies especially for advice in tax returns, maintaining the accounts and in filing the reports. DNS Accountants provides the best tax accountants in Guildford who help the companies by providing them with advisory tax plans, solutions to tax returns and also consultation in developing the businesses. Our trusted advisors help by minimizing the liabilities without making any compromise on the tax plans. The professionals ensure to create a balance between the individual and company’s finances, thereby avoiding any dispute that might arise when some discrepancy is found in the reports. Apart from forensic accounting and tax accounting, DNS Accountants also provides help in checking the accounts and maintaining the secretarial services of the company. Our chartered accountants in Guildford have years of experience and provide specialized services and are skillful in their approach to the problem. We make sure that our services add value to the client’s work. The accountants are fully capable of maintaining the accounts, keep track of the business and provide a monthly report to the administration. The VAT Registration deals with all the businesses and the companies that are held by a private entity or the person. Even a joint venture of two persons needs to be registered. It should be clear that VAT refers to the individual and not the company as the whole. The person who is registered must provide details of all the business activities that he has undertaken. Investigations might take place if the HMRC is not satisfied by the report that the person has submitted. DNS Accountants provides cover to the individual and help him to provide the required documents as proof. Once the person registers with the VAT, the returns for the particular individual would be calculated based on the business and the activities that he has undertaken. The amount will be fixed as a tax that the person has to pay at the end of each financial year. DNS Accountants is well known for providing contractor accountants in Guildford. We have also made sure to expand our services to other places which include Woking, Egham, Sunbury, Godalming, and Fleet. Our IT contractor accountants in Guildford make sure to follow the industrial standards when it comes to managing the accounts, giving tax advice and while managing the funds for the companies.